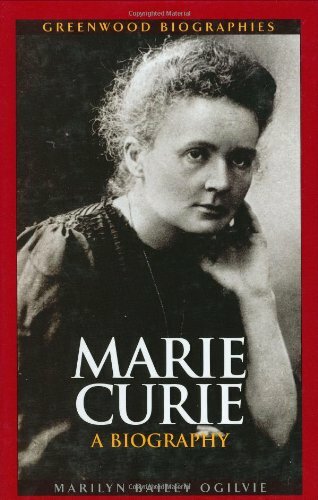 Marie Curie (1867-1934) was one of the most important woman scientists in history, and she was one of the most influential scientists-man or woman-of the 20th century. Curie postulated that radiation was an atomic property, a discovery that has led to significant scientific developments since. She was also the first person to use the term radioactivity. Her perseverance led to the discovery of two new elements, polonium and radium. This combination of creativity and perseverance netted her two Nobel Prizes, one in physics and the second in chemistry. This book, however, looks at more than her scientific achievements. While Curie is often portrayed as a stern, one-dimensional woman so totally committed to her science that she was incapable of complex emotions, the truth is that the opposite is the case. Running throughout there is the much of the book is the tension between radium as a positive discovery and, on the other hand, the health risks that working with it presents. The book includes a timeline of important events in Curie's life and a bibliography of important primary and secondary sources. About Marilyn Bailey Ogilvie (Author) : Marilyn Bailey Ogilvie is a published author of young adult books. Published credits of Marilyn Bailey Ogilvie include Marie Curie: A Biography (Greenwood Biographies).